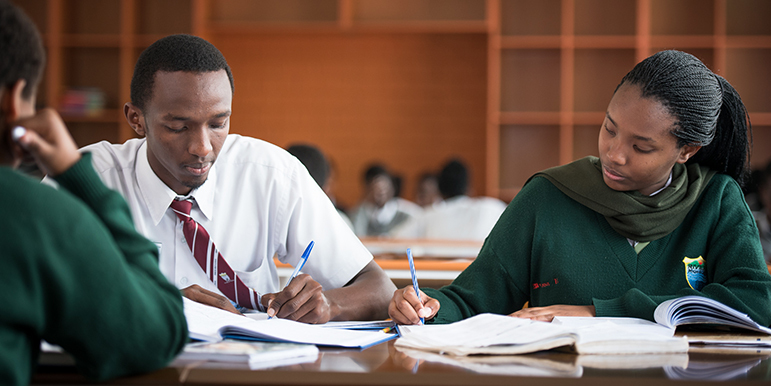 The subjects are; Mathematics, Biology, Chemistry, Physics, English, Literature, Kinyarwanda, French, Geography, History, Entrepreneurship & Computer Science. Additional subjects may also be timetabled for the students in line with Ministry of Education requirements. All students taking the REB ‘A’ level course will complete S4, S5 and S6 in order to take a full programme of Upper Cycle studies. REB does not allow a student who did not sit for ‘O’ Level examination to register for ‘A’ Level examinations. Students must also show evidence that they did not skip any class.